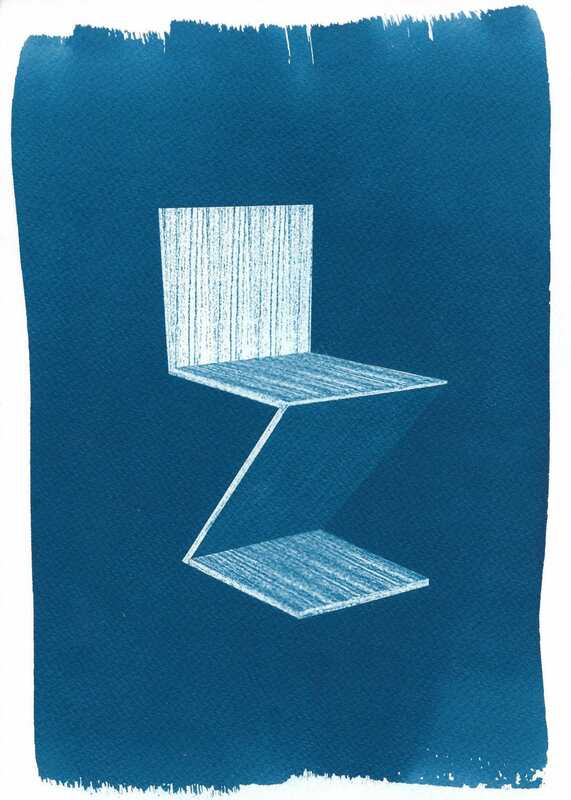 This is an image of Gerrit Rietveld's "Zig-zag Chair" from 1934. 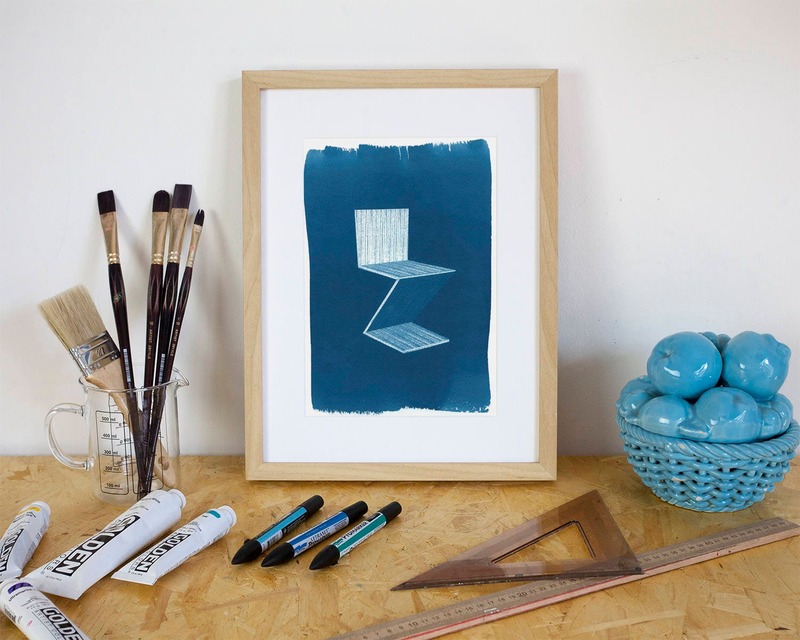 The ideal gift for a design lover! 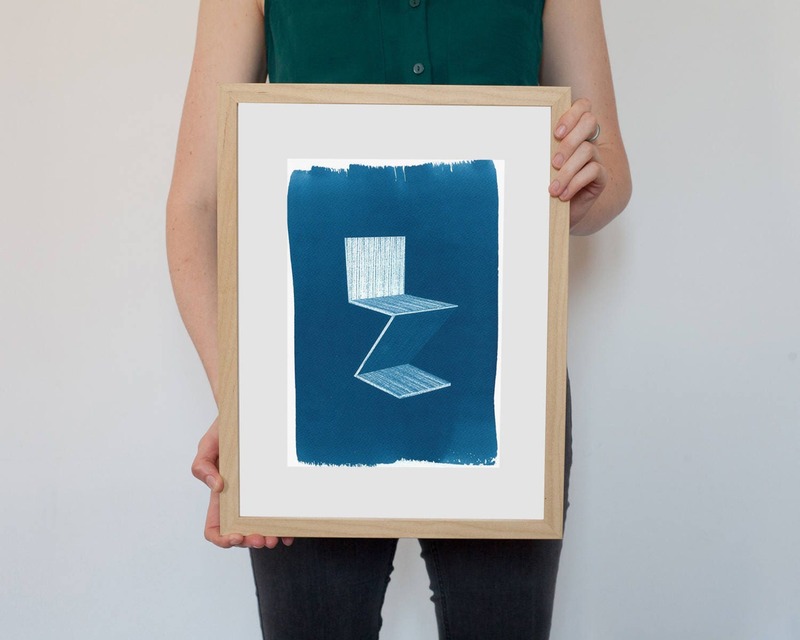 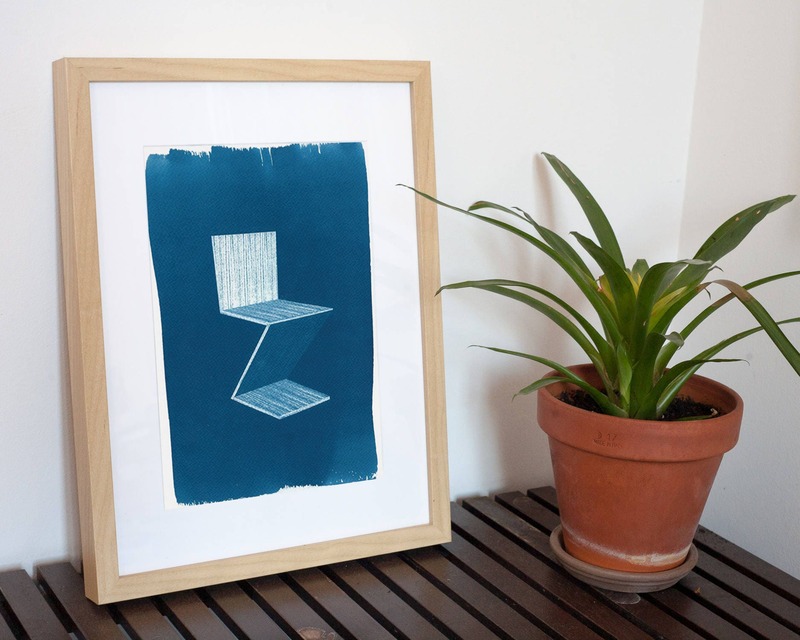 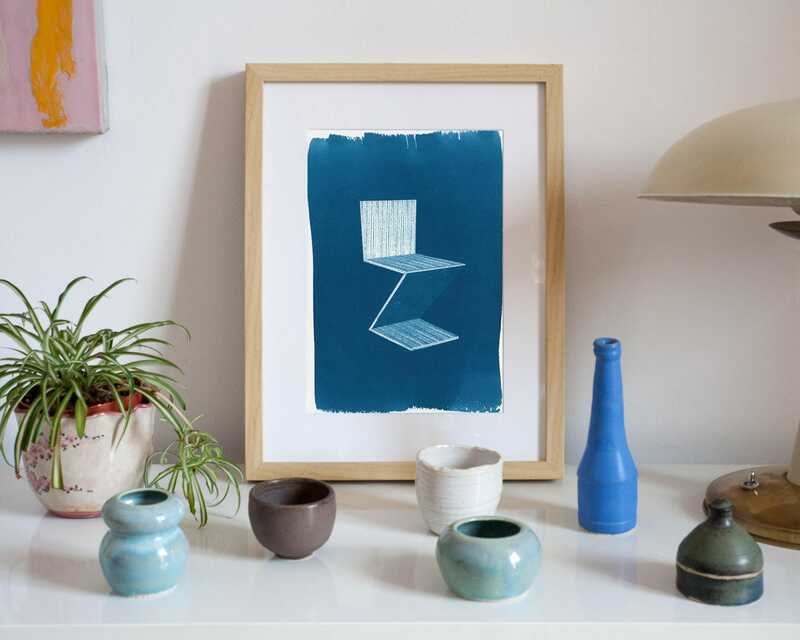 Great suggestion: Hang it on your wall next to another of our design furniture-themed cyanotypes and you ll get the classiest combo ever!